Owen Aisher (Back then President of the 5.5m Class)and Robin Aisher collected actual Class data in about 1962. 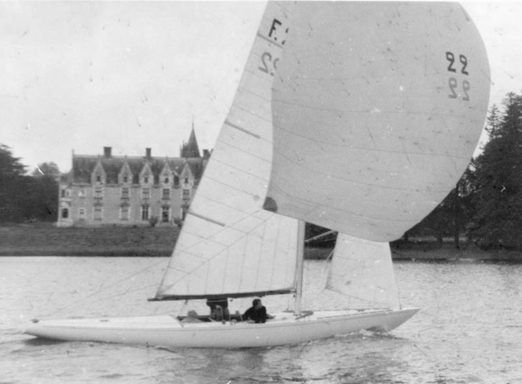 The french list is showing "Tac" to be a Hunt design, built in 1962. Comme les 4 photos jointes tentent de le prouver, c'est du côté de Sport Nautique de l'Ouest (Nantes) qu'il faut chercher les informations. Sorry, Ray Hunt designed his first 5.5 1956 and that was Quixotic US-8, later G-9 Mechtild, Greif and Voila. Mentionned as ex-Z-22 in the french fleet register, but it doesn't fit with the swiss register.